Jules Verne. A Priest in 1835 . Albany (GA): BearManor Fiction, 2016, 306 p. Volume 9 of the Palik Series sponsored by the North American Jules Verne Society. Note: This review will be published in French in 2016 in the Bulletin de la Société Jules Verne . Verne's unpublished first novel was written around 1847 (at age 19), long before the Voyages extraordinaires ( Extraordinary Voyages ). It's little known outside the Vernian communities. 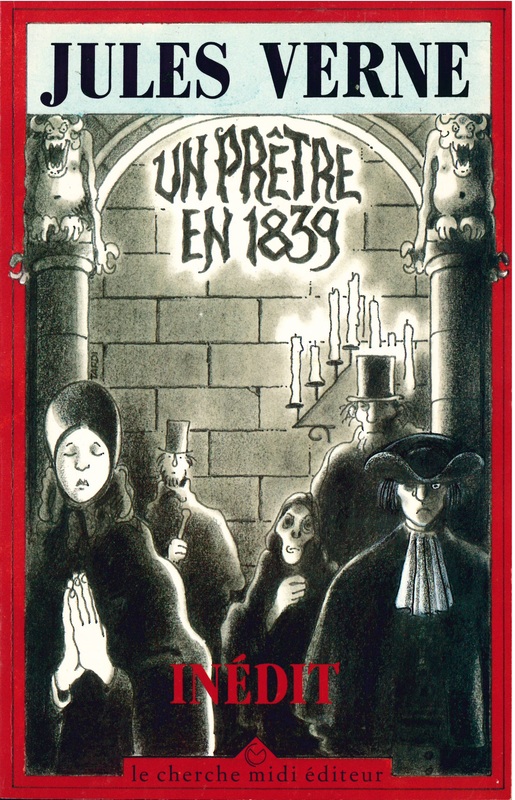 It was finally published in 1992 in France with the title Un Prêtre en 1839 and edited by Christian Robin. The novel has just appeared in the United States with the title A Priest in 1835 , translated and edited by Danièle Chatelain and her husband the late George Slusser. This publication of the novel in English is interesting for all Jules Verne specialists in more than one way. The date in the title is different: the French edition carries 1839, the American one has 1835. The French editions of 1992 and American of 2016 are both based on the manuscript available online on the website of the Bibliothèque Municipale (Municipal Library) of Nantes. The preface/postface writers and editors of the two editions are specialists of Jules Verne and of French literature of the nineteenth century. A Priest in 1835 is the tenth volume of the Palik series . The translation, introduction and notes are of excellent quality and the illustrated introduction "From A Priest in 1835 to the Extraordinary Voyages " fills the first 64 pages of this volume of 306 pages. In April 2009, the Eaton Science Fiction Conference (at the University of California, Riverside) was devoted to Jules Verne and organized by George Slusser. At that time, he indicated to the North American Jules Verne Society his interest in this almost unknown Vernian work, which still lacked an English translation. Later, when the Palik Series was launched, Slusser contacted Brian Taves, editor of the Palik Series, and expressed the desire to translate Priest . Slusser and his wife Danièle Chatelain had read Un Prêtre en 1839 , edited by Christian Robin, and were interested in producing a critical edition of this novel in English. Grandioses métaphores, cyclopéennes, grâce auxquelles commencent de crépiter dans Un Prêtre en 1839 les premières étincelles de l'imagination déployée dans les Voyages extraordinaires . Grandiose, cyclopean metaphors, the first sparks of imagination that will later be on display in the Extraordinary Voyages , first begin to crackle in A Priest in 1839 . ...Verne's first neglected first novel provides a key element in understanding the origins of science fiction, how this genre came together, in the age of modern science, from Verne's creative blending of available narrative forms . These first remarks highlight the different approaches to and interpretations of Priest. The first scholar, in Nantes, in 1992, who represents a traditional French literary perspective, and had in place all the necessary Verne resources, at the Bibliothèque Municipale (Municipal Library) of Nantes. The second scholars, in Riverside (CA), more than twenty years later, were specialists in science fiction and French literature, while having easy access to one of the most voluminous science fiction literature collections in the world. The commentaries of the two editions have virtually nothing to do with each other, except that Chatelain and Slusser had the opportunity to refer to the French edition, and chose to follow a different interpretive path. Robin had chosen 1839 as the year in the title of the novel as it appears in the first text line of the manuscript, as a correction of “1835”. Chatelain and Slusser opted for 1835 as it appears in the title of the manuscript. By no stretch of the imagination is Prêtre what is recognized today as a science fiction novel. But in this novel Verne develops a method of writing that leads directly to the creation of his later masterpieces, which in light of his synthesis of detective and Gothic elements, can be called a fiction of the “investigation scientifique extraordinaire.”... What Verne does, in Prêtre , is first to deny these mysteries [the mysteries of the natural universe] the moral stature they enjoy in the classic Gothic novel. From here, only one step further is needed to see these mysteries as natural phenomena , as the stuff of scientific investigation. 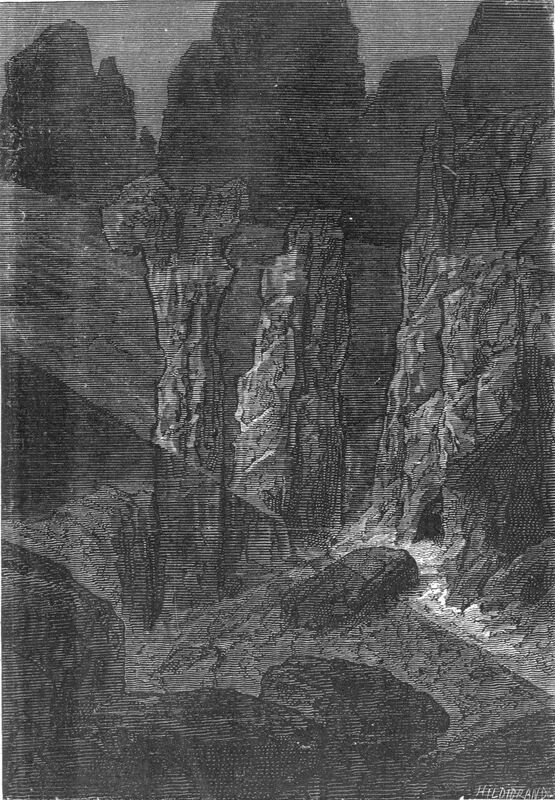 If Verne ultimately never published Prêtre per se, it is perhaps because he saw it as the springboard to a new form of fiction, a fiction that deals with the pursuit of mysteries of the physical world itself, mysteries that (as with his Gothic) never fully yield an explanation that is definitive (p. 48). Chatelain and Slusser see Priest as a kind of bridge between the Gothic novel and the “investigation scientifique extraordinaire” (in French in the Introduction text), a transition between Ann Radcliffe and Edgar Allan Poe. Between the first introductory pages and the conclusion already mentioned above, their analysis is divided into three parts, each with a significant title: “Verne's Detective and Poe” (p. 9-31), “Verne and the Gothic” (p. 31-45) and “Verne's method” (p. 45-53). Short stories narrating the adventures of C. Auguste Dupin (Poe's iconic detective) had appeared in Parisian magazines as early as 1846, highlighting a narratological modus operandi that replaces the structure of the traditional Gothic novel where evil forces explain events considered as supernatural . 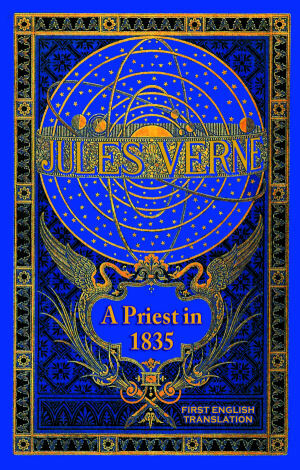 Through the Verne version of Dupin, Michel Randeau, Jules Verne invites the reader to find and collect, sometimes faster than the detective himself, the pieces of the puzzle to solve. The method of deduction of Poe's Dupin and Verne's Randeau lead Chatelain and Slusser to consider that this is a form of “investigation scientifique extraordinaire” (p. 48), which can also be related to the procedures of experimental medicine invented by Claude Bernard during this same period . Sans doute le roman est-il inachevé et son écriture quelquefois touffue, mais l'intrigue est suffisamment nouée pour qu'il soit possible à chacun d'en inventer la fin ou, du moins, d'imaginer une fin, selon sa propre vision de l'ensemble (p. 8). The novel is without a doubt unfinished and its writing is sometimes dense, but the plot is tied together enough to make possible for everyone to invent the end or at least to imagine an end, according to his/her own vision of the whole. The reader is able perhaps to see more pieces of the puzzle, but the puzzle is never complete, there is never enough of it to assemble a whole (p. 45). ...what for Verne will become a “method” of fictional writing is based precisely on the premise that no investigation can be complete, that no amount of rational examination can ever exhaust the mystery that remains behind the surface of things. That is of course a message that doesn't mesh with the later positivism of Hetzel, where a novel must not only teach solid scientific method but get results (p. 47). In articulating this point of view, Chatelain and Slusser are joining several other Verne researchers whose analysis of the Vernian corpus demonstrate how Verne sought to manipulate his readers, offering a story that gave the illusion of closure, the end of the initiatory adventure . The reader gets the impression that the story is complete, when in fact it remains open-ended, giving them a glimpse of yet another level of mystery . Why do “the primeval rocks that have never seen the light of day, that nether granite that forms the solid foundation of our planet” have a cave at their base on the image taken by the photographic camera of the Nautilus? . There is still something beyond what we can see and experience. Thus, according to Chatelain and Slusser, the fact that A Priest in 1835 leaves the reader “hanging in the air” at the end of the novel constitutes yet another example of how it foresees Verne's yet-to-be-written Extraordinary Voyages .